Here are some other projects I've been a part of. In addition, I've reported live on ABC Bay Area and judged numerous competitions hosted by the likes of the American Lamb Board, FIJI Water, TasteTV and more. I was a judge in 2013's Future of Food Hackathon. 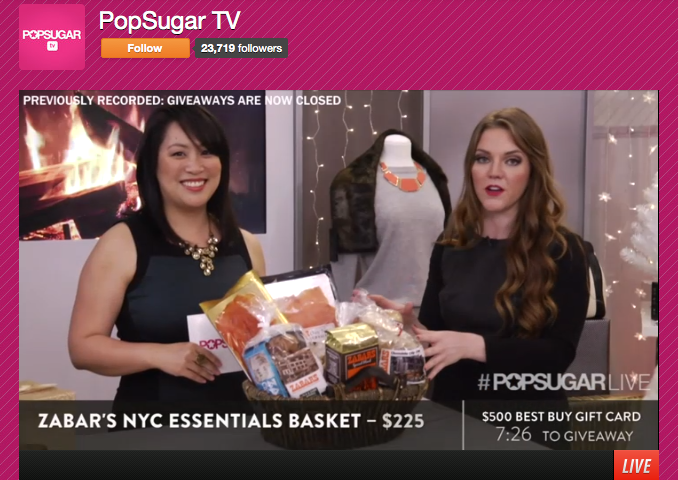 I showed off our favorite food gifts of the season in POPSUGAR's Live! Holiday Gift Guide in 2011 and 2013. I was a featured culinary expert in Kettle Brand's 2014 Flavor Focus. 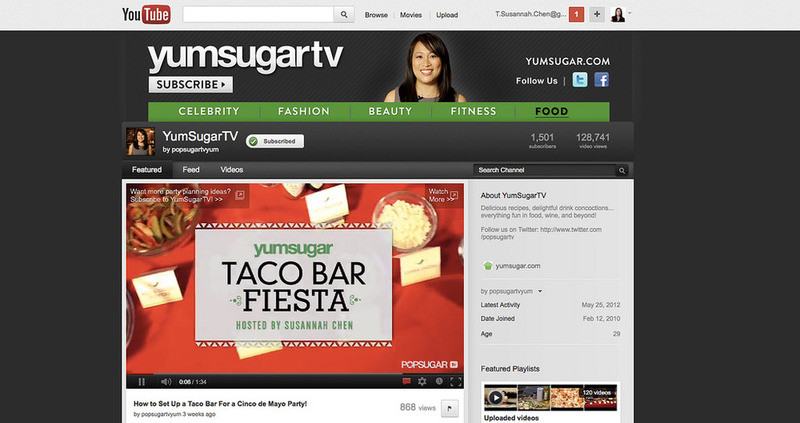 I served as the face of the YumSugarTV YouTube channel. (see the Cinco de Mayo taco bar fiesta video pictured below!). I was part of a feature about POPSUGAR editors for the launch of the POPSUGAR Must Have program. I curated a shop for ShopStyle as a guest editor.